What is danger? 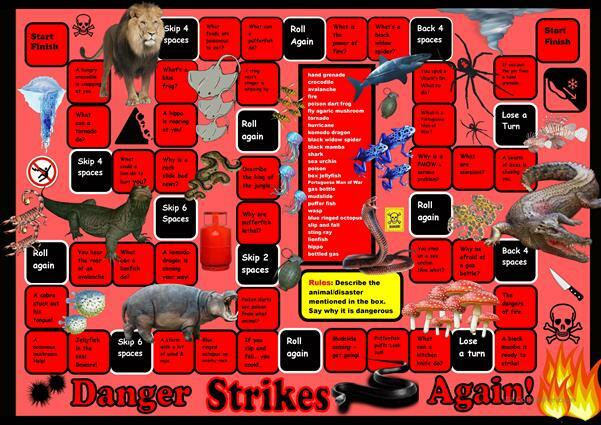 Play and discuss about dangerous subjects such as fire, natural disasters, and ferocious animals. Vocabulary building and conversational aid- besides being a subject that appeals to most students. This downloadable worksheet is intended for high school students and elementary school students at Pre-intermediate (A2) and Intermediate (B1) level. It was designed for developing your learners' Speaking skills. It is about the theme of Animals.